Many of us automatically think of creatures with gnashing teeth or razor sharp claws. Animals like lions, tigers, jaguars, sharks, and grizzly bears inspire plenty of fear. Many of the deadliest animals in the world, however, are quite small and sometimes even innocuous looking. Let’s take a look at the top 10 dangerous animals you should avoid (large and small). 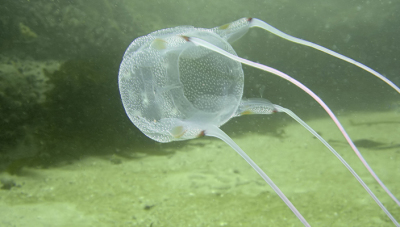 There are some species of box jellyfish, but they are all quite dangerous. The sea wasp box jellyfish is perhaps the most deadly variety. This translucent sea-dweller may not look all that menacing, but it is the most venomous animal on planet Earth. Box jellyfish are deadly to many different animals, not the least of all, us. If you get stung by one of these animals, you are very likely to die. Even if you do not, you will be in tremendous pain for some time afterward. 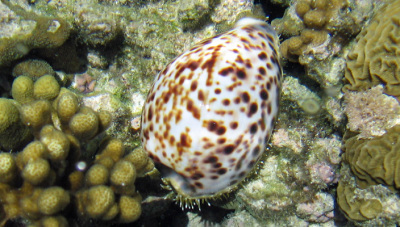 Another ocean dweller to be wary of is the cone snail. It may not look like much, and you may easily mistake it for any other snail on the beach, but it is extremely deadly. Just one drop of its venom can kill twenty human adults. There is no antivenin, which means that if you are stung, you will almost certainly be dead within minutes. 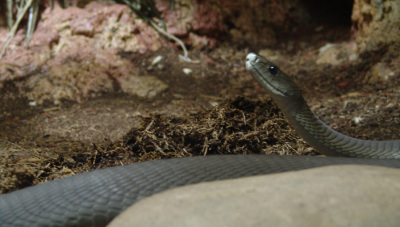 This snake may look less fearsome than the hooded cobra, but it is arguably more dangerous. It can strike very quickly and can also chase its victims at an incredible speed. It chooses to do this quite often without any provocation whatsoever. This is a particularly aggressive inhabitant of the African grasslands. 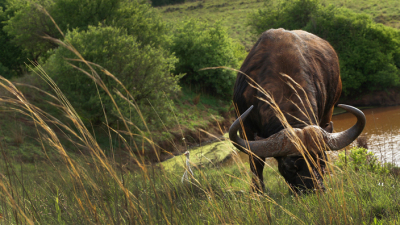 Cape buffalo have been known to charge victims without provocation, rather like the black mamba. While they are obviously not venomous, they do have an asset the mamba does not—2,000 pounds of weight and the ability to charge at 40 miles an hour. These creatures will continue charging even if they are shot in the heart, and have no reservations about charging vehicles. They’ve also been known to attack predators like lions. 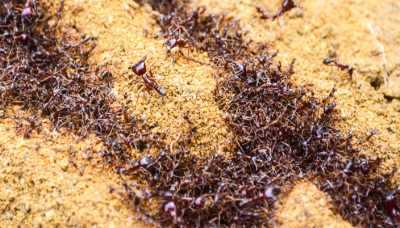 These ants are also known as driver ants. They come in swarms of up to 50,000,000, and will react as if they are a single entity if even one driver ant is in danger. Crush one of these little critters underfoot while you are out on a walk and you will regret it as the other 50 million come swarming after you. The ones that latch on will be very hard to remove. Their jaws will remain clamped into your flesh even if you tear their bodies in half. While they may not be the most deadly critters on this list, they are certainly impressively dangerous for their size. They routinely take down and kill much larger things. Look up “ant attack” and you will find many photos of this phenomenon. 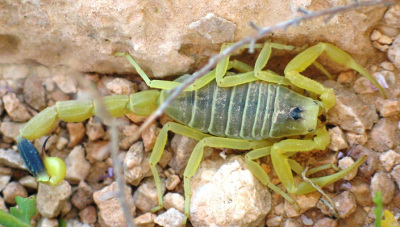 This diminutive scorpion may not look all that impressive, but it is responsible for roughly three-fourths of all deaths resulting from scorpions every year. Children are particularly susceptible to these bites and are more likely to die from them than adults. The bite is very painful, so even if you survive, you may wish you hadn’t for a while.